"Guy's some piece of work, isn't he? Six feet under and half a face... he's still screwing with us." Based on the final episode of Season 5, features the likeness of Giancarlo Esposito as a simplified retro Kenner format! Breaking Bad fans won't regret picking up this 3 3/4-inch tall action figure. 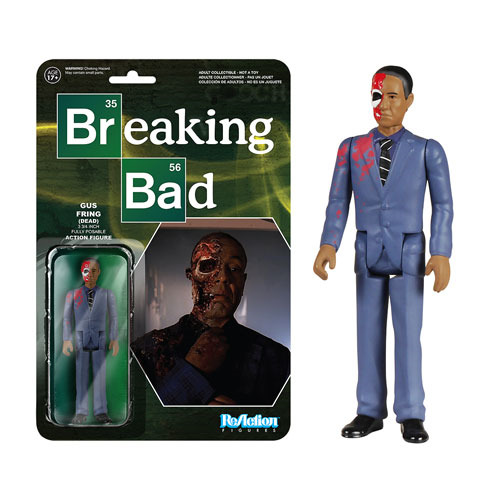 The Breaking Bad Gustavo Fring Dead ReAction Figure has 5 points of articulation and features the 1980s style card back design.